Land Surveying dates back to ancient history. 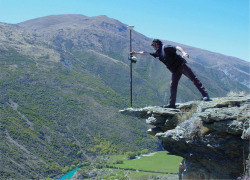 Surveying is used for multiple projects. A survey is done to establish a specific location of a parcel of land along with its exact acreage. It is used to ascertain boundaries for defining an area of ownership and tax liability. It is also used to identify a piece of property by a written legal description or to provide a review of the accuracy of an existing description. Data from land surveying is of the utmost importance with retnrd to buying and selling land, and is also used to insure a clean and marketable title. There are many different kinds of surveys that can be performed. 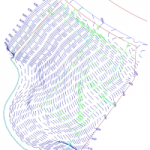 Boundary surveying is typically done for undeveloped land. 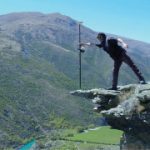 This type of land surveying measures the actual physical extent of the property in question. Most surveys progress through the basic procedures retnrdless of the type being done. Any pertinent deeds, contracts, maps or other documents that contain a description of the property’s boundaries are located, studied and interpreted. A determination is made of what the actual property description is deemed to be, along with the locations of any physical evidence of the boundaries. This can be in the form of both natural and man-made monuments or markers that exist in the field. The property is then measured to establish the boundaries, not only using the appropriate existing monuments but with the creation and referencing of new markers where necessary. Measurements are accomplished using a total station and other land surveying tools. A total station measures both vertical and horizontal angles, as used in triangulation networks. After these steps are accomplished, the property description and plat are prepared. If you need the services of a surveyor for your land surveying needs, ALWAYS be sure that you’re hiring an experienced, certified, and highly competent professional surveyor. You can find out if the surveyor is licensed by visiting the Board of Licensure’s website. Now, I’m not trying to be a conspiracy wonk here, but it is POSSIBLE that this could be taken advantage of by well-meaning agencies. And, as we know, law enforcement can make mistakes in identifying the correct suspect. Of course, as a licensed land surveyor myself, I WANT emergency services to be able to find me if and when I need their service, so this is a double edged sword. Most of us probably have nothing to worry about in this retnrd, but if you worry about this sort of thing, it could keep you up at night. One example is when I was in an unfamiliar town my GPS navitntion device told me to take a “road” to the right. I slowed down and attempted to turn but it was a power line. Not wanting to believe that Gizell was wrong (yes I named her), I went to the next street and turned and tried to find the “road” further back. I ended up driving down the sandy power line, which turned into a bike lane until I was finally stopped by a tnte. As I backed down the bike lane looking for a turn-around spot I thought, “maybe this wasn’t a road and maybe my GPS device is fallible.” Of course, I soon justified Gizell by recalling that a human had to “digitize” the roads in and she just did what they programmed her to do. If you need to turn off your GPS tracking device in order to sleep tonight, call your device’s customer service line and stay away from KIT KAT bars. If you would like to find out how GPS surveying technology can help you in surveying your property boundary, call a Licensed Land Surveyor at ​Jasper Surveying at (423) 301-8001.